The Asian American and Pacific Islander (AAPI) Summit will be held on Wednesday, April 25, at the Westin Bonaventure Hotel & Suites, 404 S. Figueroa St., Los Angeles. The summit convenes educators, community leaders and policymakers to address the challenges facing AAPI students and those who serve them. It will showcase effective partnerships and highlight community engagement initiatives and strategies for access and student success. School counselors, teachers, college admission and outreach officers, financial aid administrators, leaders of national advocacy and community-based organizations, and parent engagement coordinators are invited to attend. Participant registration: $100. To register, visit www.collegeboard.org/aapisummit. For questions, email [email protected] or call (800) 787-7477, ext. 2. To reserve a room by phone, call (866) 716-8132 and request the rates associated with the group “The College Board.” All reservations must be made by April 11 in order to receive these rates, pending availability. Discounted room rates: single occupancy, $165; double occupancy, $165; triple occupancy, $185; quadruple occupancy, $185. Westin Bonaventure has limited availability for parking. It’s a discounted rate of $16 (tax included) for both day-use guests and overnight guests. 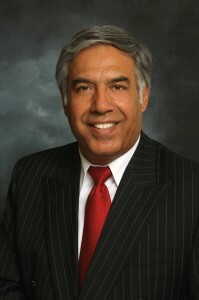 Dr. Mohammad H. Qayoumi, president of San Jose State University.